Welcome to day three of red, white and blue week! Day one was Fourth of July pancakes and day two was Fourth of July pudding popsicles. 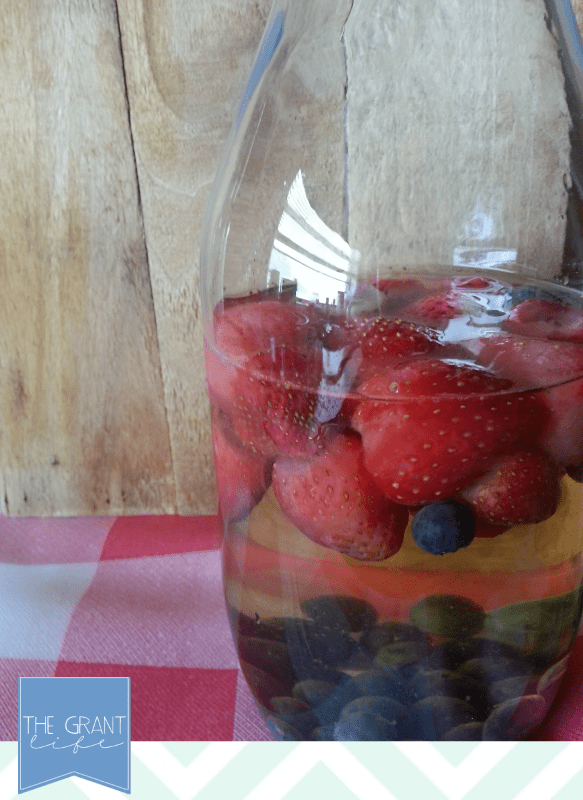 Today Im sharing a very berry Moscato! 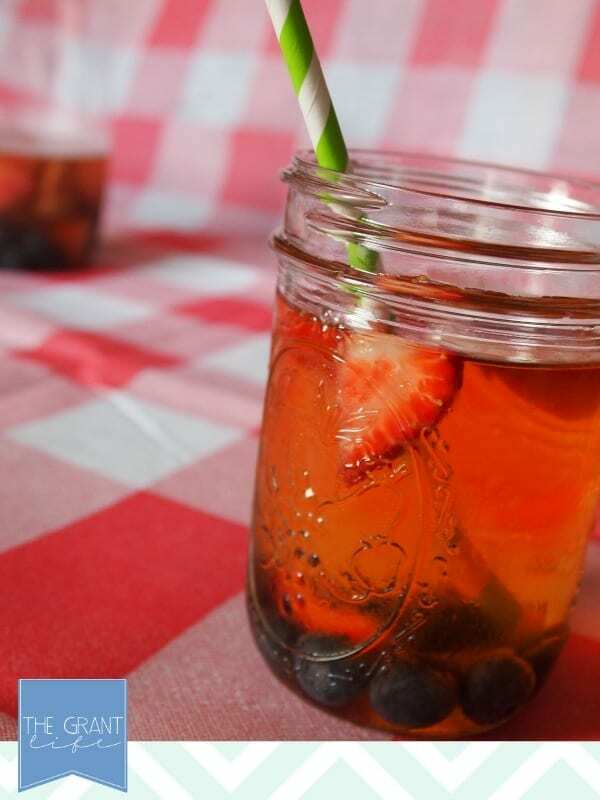 I would say its Fourth of July Moscato but you can make this [adult] drink anytime of the year! And trust me, youll want too! Its that good! I love Moscato, its hands down my favorite wine to drink. I love a sweet wine and haven’t found a Moscato that I don’t like. Add some fresh fruit and a mason jar and Im all over it. 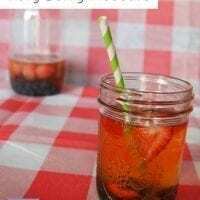 The best part is that you only need two things to make your own very berry Moscato. Berries and wine. You can use the berries and wine of your choice too! I choose Mostcato [duh] and added some strawberries and blueberries to fit my red, white and blue theme. I added about a teaspoon of sugar to the berries and let them sit overnight in the fridge for mixing them with the wine. Add your berries and let them sit overnight or longer. I bought this cute carafe at Target but should have bought another bottle of wine to fill it. Next time Ill be sure to buy two bottles because the one didn’t fit the carafe AND it disappeared way to quickly. I have one more recipe to share with yall tomorrow. 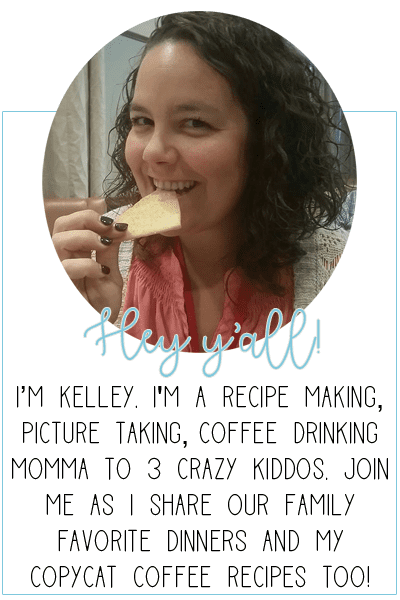 And it might be my favorite recipe of the week! Its also adults only. Pour the sugar of the berries and let sit in the fridge for at least 1 hour. 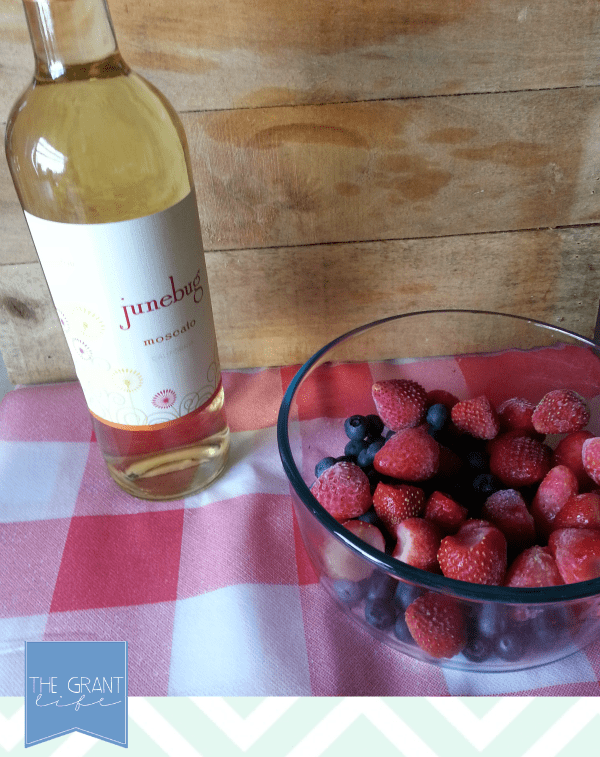 Combine the berries and the moscato and allow to sit in the fridge for up to 24 hours. Oh yum! As soon as I’m not preggers, I’m making THIS! It looks awesome! I didn’t know you were pregnant! Congrats Carly!! Love this idea! I love moscato too and combining it with strawberries.. genius! 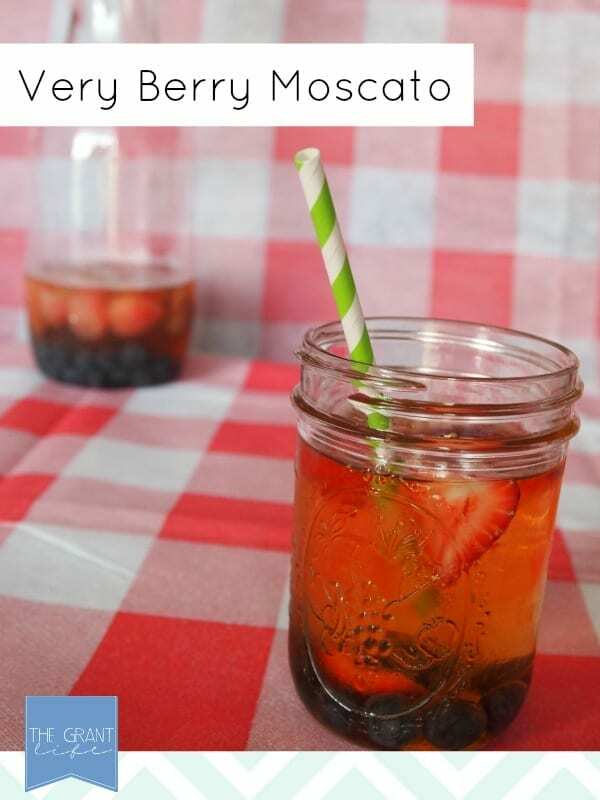 I’m going to try this for the fourth of july! Thanks for sharing! Not including your tag or title, you said it seven times. But that’s okay because it really is the best. I recently started drinking wine about 4 months ago. I thought I would never find one that I like until….I tried Moscato. I LOVE Moscato!! It is my one and only wine. I can’t wait to try this recipe! Perfect for summer nights. Thanks so much!!!! Made it and LOVED it!! It is definitely my favorite now!! I saw it! It looks so yummy!! CanNOT wait for this baby to come out, so I can have Muscato again, with berries, then eating the drunk berries. Oh awesome! Thanks so much!